In my never-ending search for better lunches to bring to the office, I bring you “Pleb Feasts”. It’s all too easy to be lured in by the foodcourts and unhealthy dining options available for purchase when buying lunch. On the other hand, making lunches takes time and planning, and I don’t want to compromise on flavour or freshness by eating something made in advance. What’s a common office pleb like myself to do? I’ve been working on some creative solutions. This sandwich is super easy and doesn’t take a lot of time. I’ve also included tips on how I like to wrap mine up for maximum freshness the next day. 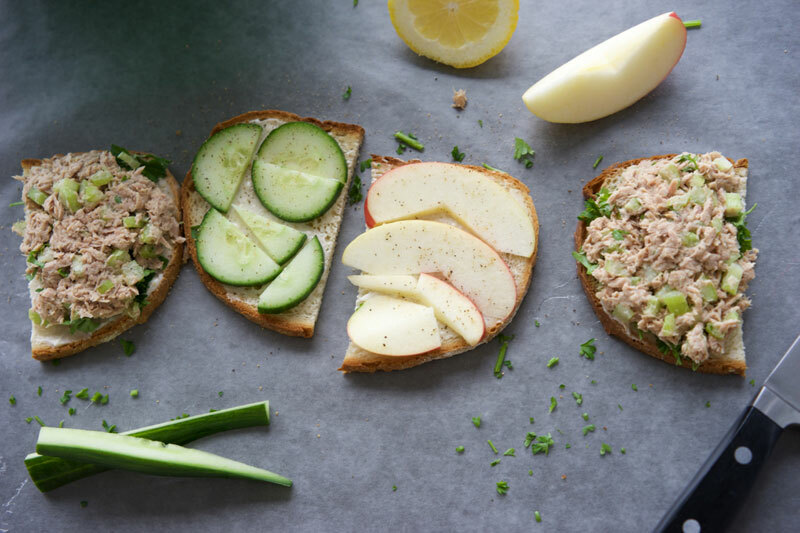 I’ve combined a favourite of mine—crisp apple celery salad, with tuna and light rye bread for these sandwiches. Parsley is a hardy herb that doesn’t get soggy; here it replaces your typical lettuce leaves to brighten up the tuna (and protect the bread from getting soggy). I experimented with apples on one half, sliced cucumber on the other. Apples won for me hands down, but you could make these with cucumbers as an option to change things up a bit. A note on the packaging. I find wax paper is the best wrap for sandwiches—enough protection to avoid drying the bread out, but not a tight seal like plastic where things start to get soggy. Roll out a piece of wax paper, build your sandwich on top, wrap it up, throw in a fruit snack and lunch is done! A perfect lunch to take to work—quick and easy to make, and stays fresh. Drain water from tuna in can, place tuna chunks on a paper towel and pat away excess moisture. Place into a medium size bowl and break apart with a fork. Chop celery into 1/8" size pieces, and add to tuna with 1.5 tbsp mayo, lemon juice and salt to taste. Combine well. 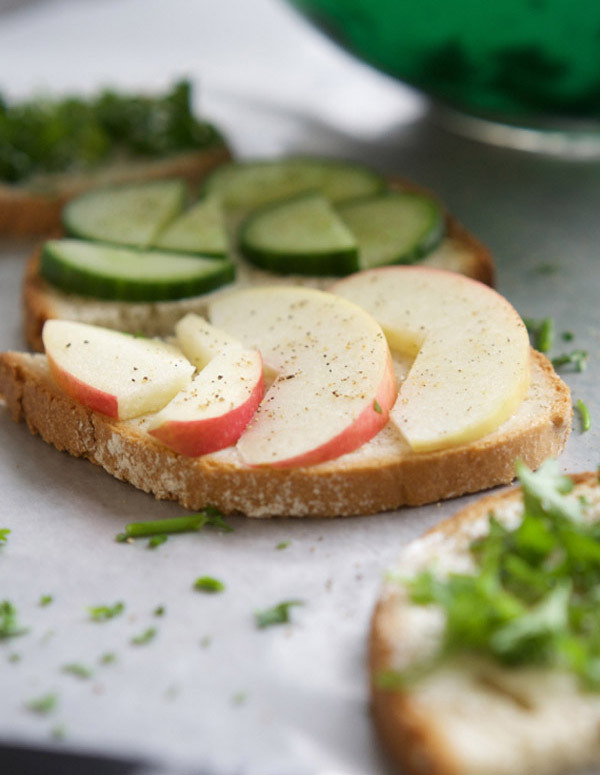 Place a wax paper sheet on counter top for each sandwich, and set out 2 slices of bread on each sheet. Cut slices in half and spread one side of each with the remaining mayo. Season bread slices with extra fresh ground pepper for extra kick if desired. 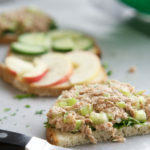 Layer fresh parsley on half of the slices, and divide tuna mixture on top, patting tuna down to create a flat surface. 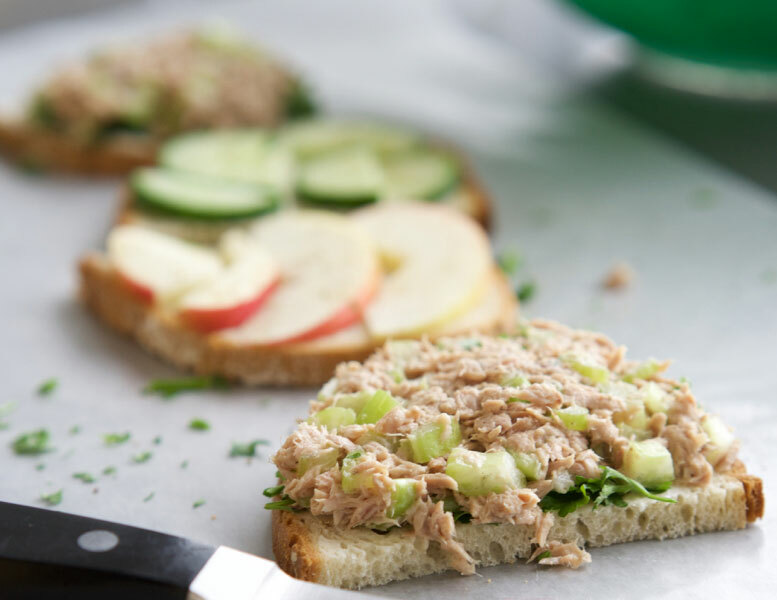 Layer apple slices on top of tuna (or cucumber if preferred). Top with remaining slices and wrap each sandwich in its wax paper sheet.